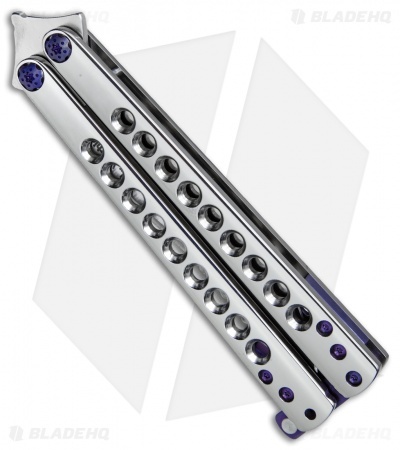 This Les Voorhies custom Model 2 balisong features skeletonized titanium handles with in a brilliant polished finish. Its clip point blade is made from CPM-S35VN stainless steel with a satin finish and a hollow grind. IKBS bearing pivots provide superb flipping action that is second to none. 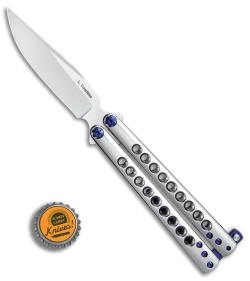 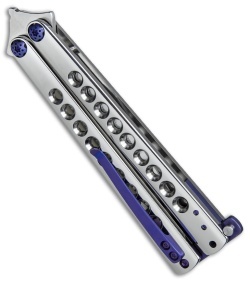 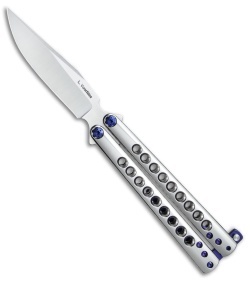 The knife comes outfitted with blue anodized titanium hardware, spacers, latch, and pocket clip.